I made my first ever turkey! and hours and hours of cooking for it to still not be done. I always put my husband on "bird duty." But no more! I did it!I am like a grown up now! I grabbed my slow cooker...and the turkey was perfect! 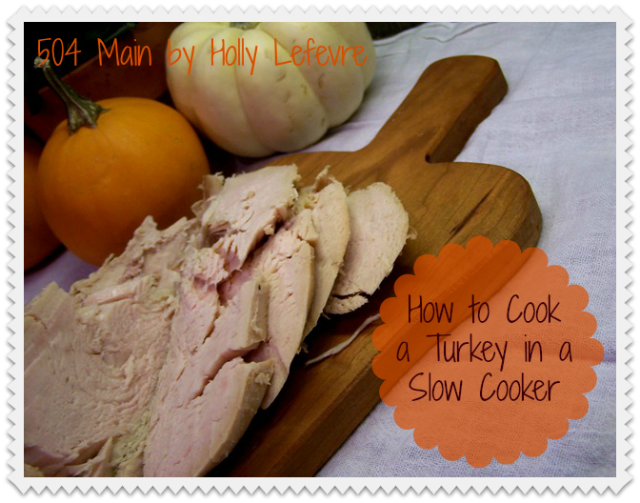 cooking a turkey in a slow cooker is way too easy! Frozen Turkey Breast or a small turkey (thawed in the refrigerator for 24+ hours and cleaned) - mine was about 8 lbs. *NOTE: You can change up the seasonings very easily to suit your tastes! 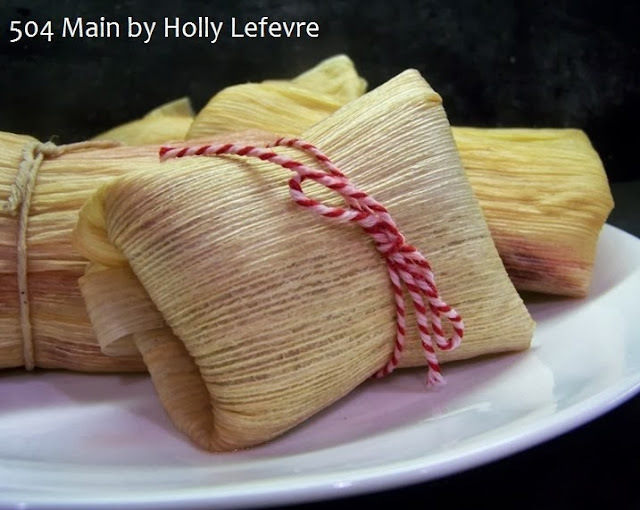 Place the prepared (thawed and washed) turkey in the slow cooker. Drizzle the honey all over . Turn the slow cooker on high and let it be. I cooked mine for 4.5-5 hours. Just check in with your turkey, depending on the size it may cook quicker or take longer. This breast gave us enough for a couple meals, soup and Turkey and Cranberry Tamales! Are you ready for Thanksgiving???? Hey Holly! no, I don't "do" turkey cooking. My MIL does the meat and dressing, while her "kids" all bring a different side dish. I also don't really like the handling of the "big bird", so I'm really glad you posted this super easy and convenient alternate way to cook one. I think I'll start with one of those turkey breasts. Again, thanks for sharing your idea! Adding the honey and the herbs sound awesome Holly! Pinning because although I do a mean roasted turkey, making a smaller bird during the rest of the year would be perfect! And, I'm pinning the tamale recipe too!